To meet its mission of fostering a culture in which all employers support and value the employment and military service of National Guard/Reserve members, the Employer Support of the Guard and Reserve (ESGR) needed to raise awareness among Guard and Reservist members about the employment services ESGR provides; alleviate employer concern about possible post-deployment medical issues; and give the ESGR workforce, a network of more than 4,600 volunteers in 50 states and four U.S. territories, the tools necessary to reach employers and Guard and Reservists. 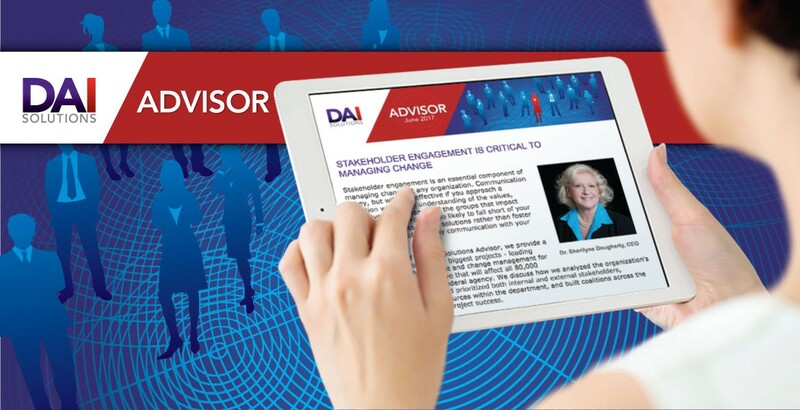 Challenge: DAI Solutions needed to strengthen ESGR’s brand and identity and design strategies for delivering powerful and emotional messaging so that Guard and Reservists were aware of and used the wealth of employment assistance available to them, and so that employers felt confident about hiring this workforce. 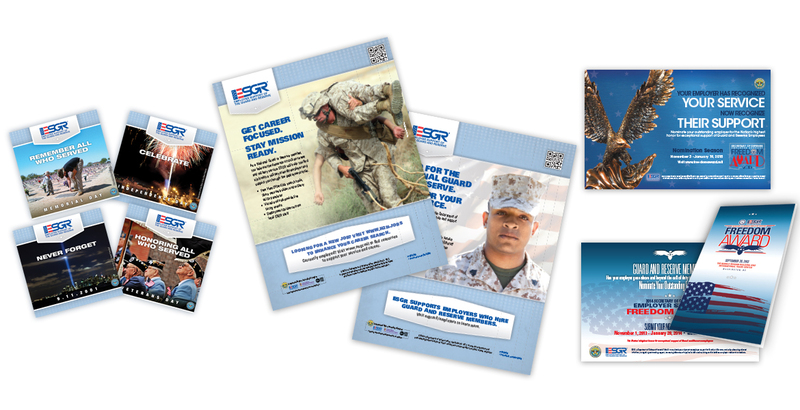 Our work led to participation in ESGR activities by employers and Guard/Reservists at the state and local levels. ESGR is achieving its vision — fostering a culture in which all U.S. employers support and value the employment and military service of members of the National Guard and Reserve.